Next stop on our way was Xiamen (also known as Amoy, which back home I’d associated with cooking sauces), which seemed like the only place in Fujian Province that we could get to, due to heavy rains and general flooding meaning many railway routes were impassable. As much as China may try (and that is very hard, they move mountains and rivers and raise and lower lands to suit their needs), Mother Nature can still reign supreme (no pun intended). A simple day journey directly south for about 8 hours took us there, and stepping off the train, the heat and humidity hit us immediately. This was my first proper taste of tropical weather and landscape (even though we were a couple of degrees from actually being in the tropics). I’d been in Hong Kong in May 2009, but it was much milder than this. Shanghai and Beijing, it turns out, were a doodle in comparison (which is not what I was saying when I was there). We struggled to our hostel, which was outside the main settlements of the city, on the south coast (Xiamen itself is based on an island, not unlike how Hong Kong is situated), a minute’s walk from the beach. We settled in, went for a paddle (the water was not that clean as loads of bits of foliage had been unsettled by the stormy weather recently), and relaxed in the room. On our way out the door for dinner, the owner informed us that the electricity would not be working that night. They ran another hostel where the lights (and more importantly, air-con) would be on, so we were shuttled over to it, a short drive away. Over the course of the next three nights, we would spend it in three different rooms, with the final one being the most interesting we’d stayed in so far. A large round bed, enormous bathroom, great mural and four chains with fake flowers hanging from the ceiling (possibly for some reason unknown to us). Instead of a metro system, the powers that be had decided to build a Bus Rapid Transport system. This meant building a few dedicated bus routes above the main thoroughfares of the city. I had to admit, it worked pretty well, probably even quicker than your average metro system (they always seem like they’re going fast as the windows are so close to the walls). Xiamen was one of China’s original Special Economic Zones, when they started opening up to actually doing business and allowing outside investment. The most interesting point about the place, though, is the fact that it is only 2km from the Republic of China (aka Taiwan). A couple of islands just off the coast below to Taiwan, and are quite visible, but getting closer to them would be a lot more dangerous, as along the coast, China has nearly 2,000 ballistic missile pointing at their near neighbour/rouge province (plus more than 100,000 troops on stand-by). We found another restaurant that I wanted to eat at all the time. 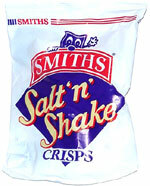 It a type of cabbage dish whose sauce tasted exactly like Smiths Salt ‘n’ Shake crisps (that is to say cooking oil and somewhat salted). I loved it. Full meal with beer was about £3.5 for the pair of us. No link to a map this time, as it was in some random backstreets that the mighty Google doesn’t have. As we walked back to our hostel one evening, we spotted a guy fussing around a load of chickens and ducks in cages, with his assistant watching on. We wandered past slowly, thinking he might be about to slaughter one. He didn't, but as we were walking away, we noticed his assistant, who we thought had been sitting idly by, lifting baby ducks out of a bag, one by one slitting their throats then dropping them into a box. While in the city, we watched the humiliation of England against the sprightly young Germans. This gives you an idea of how far behind I am. Will catch up soon, or else leave some out (we’ve been in HK for weeks now, and not too much has happened). We’d sat beside a group of girls on the train here, and they had recommended that we go out into the middle of the country to visit the Tulous. Audrey did a bit of research, and we worked out that we’d finally have to abandon trains for moving us towards our next destination for the first time since we arrived in Vladimir from Yarolslavl on the bus (about 10,000 km back). We booked our bus, and left town a couple of days later at 9.00am for Nanjing County.